Austin-born, Santa Monica-based J. Prhyme, aka Johnny Edson, snagged his SAG card as an actor at age 4 and then started on a music career, writing lyrics and songs at the ripe old age of 10. We’re not sure how much acting he’s still got time for, since now he seems to be putting all his life experiences into his positive philosophy and hip-hop tunes. What year did you start performing live as J. Prhyme? 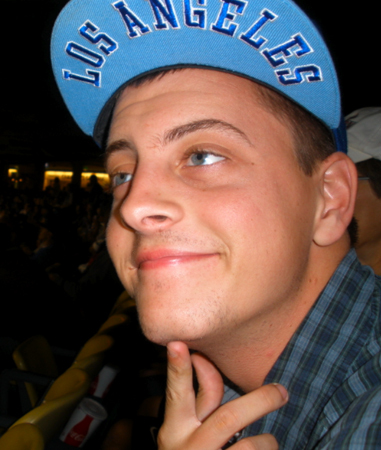 It was 2008 when I got my first gig at The Airliner in L.A. This is what really got me hooked into the game. After crafting my work for years it was awesome to come out to a big crowd and get them moving behind my music. There’s no other feeling like it and there’s no going back after you’ve experienced it. My dad was a writer, my uncle is a musician, so you can almost say I was born into it. I’ve been into hip hop music since I can remember, and when I was about 10 I sat down and started writing my own lyrics. To me it was exciting and easy to express anything I felt. Through the years I got more serious, working with new producers and engineers to help me get some songs made. Now the past couple years have brought a lot of new opportunities, so I feel like now is my time to get my name out there. What is your favorite venue/city to play? Probably Hollywood. Its a strange place and its known around the world as the mecca of entertainment, so I always get that kind of vibe when I’m in there. Usually there are a good number of people at the clubs out there and you can almost feel that star energy when you do a show. What was the strangest/most interesting thing to happen to you as a performer so far? I would have to say the time when I had to bribe a security guard to let one of my performers into a show. The club was 21 and up and I was on a list that let me (19 at the time) in as a performer. Long story short, I brought a performer to do a song with me that he featured on… He was only 17. The back door was double bolt locked, so sneaking him in failed. Finally, I offered the bouncer 20 bucks and he let him in. Ah, such a list to pick from. I would have to say Bob Marley, he’s someone who affected the world with music and I would ask him where he drew inspiration from and what experiences in life gave him the stories he told. Plus I know he wouldn’t object to me firing up a joint, so it would also be interesting to hear the things he had to say when he was in that mind state. What do you simply hate about being a performer/musician? You know, like the sound man showing up two hours late for a gig, buying guitar strings from “that guy” at the music store who is more interested in his Chinese food than ringing you up, or trying to find your drummer, (sorry drummers), or insert your band mate who always goes missing, two minutes before your set time. It has to be getting booked really last minute for a show. Last month, I did a show that they confirmed with me 2 days before the actual event happened. The songs I wanted going to perform had vocalists on them, so I had to ask every singer I knew if they could memorize my hooks and come perform the next day. Of course, the vocalist on the original tracks was out of town, so I had to settle for a last minute singer. I had never heard her in my life, I just got her number from a friend of mine. Of course, she missed a few lines in the performance, which I couldn’t blame her for. Luckily, her voice was good and the performance ended up being a really good one. First, releasing my first project onto Itunes. 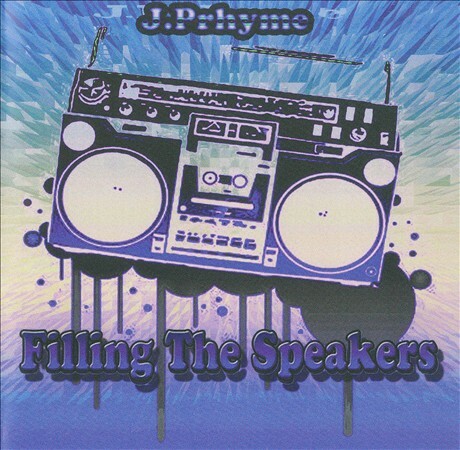 I just got it up so check out Filling The Speakers by J. Prhyme. Also me and and some artists are making moves for my group, The Killbots, which consists of me (J. Prhyme), Juco and Man E Fases under Soul Entertainment owned by Hobyn Hinsaru. Working with this group is honestly the first time I have that gut feeling like ‘Damn, we are going to blow up’. The way our styles come together truly brings a new sound to the rap game. We have a tour coming up in January in the bay area of California. We are going to do shows throughout San Jose and San Francisco, so if your up there after the new years check us out. 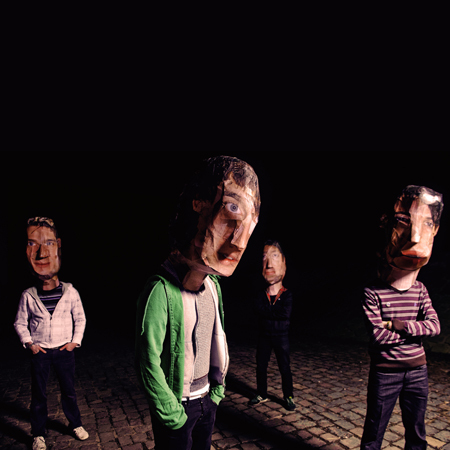 Then look out for the Killbots EP! You can stay updated at ‘JPrhyme’ on either facebook or twitter. By Sentimentalist Staff on January 28, 2011 in Music, Now Hear This!